It would be cool if you went and took pictures of Arizona/New Mexico chairlifts soon! They’re on the hit list! Fond memories of chattering down Helsinki in a GS suit at Giant Fridge – I can imagine that is going to be a short ride up Sarajevo. 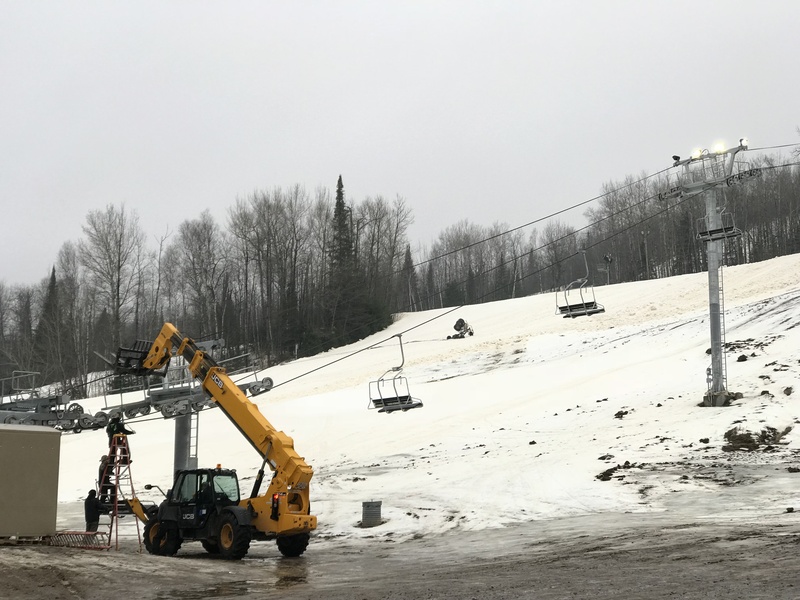 With all of the recent announcements of new lifts, any idea of when Big Sky put in their next lift/ formally announce it? I know the village gondola is probably next. I went up to Big Sky last week and they are enjoying a fantastic start to the season on the heels of a record run last year. No question the North Village Gondola would take the resort to the next level. I think the original Big Sky 2025 plan had it pegged for 2019. 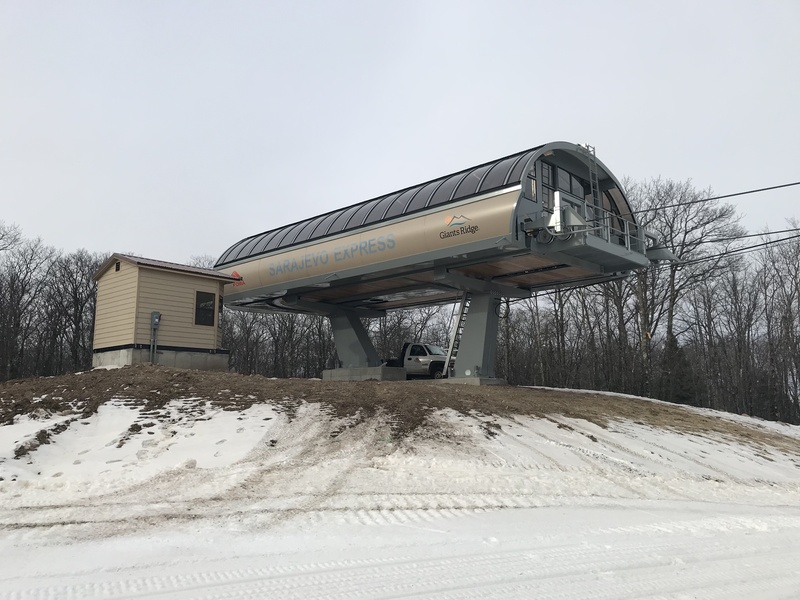 With a mid-station, Boyne is probably looking at at least a $15 million investment plus whatever redevelopment they want to do at the base of the gondola. The other mid-term lift is a Ramcharger six-pack but I hope the gondola comes first. The below thread on AlpineZone has tons of great history and photos from Burke. Apparently the integrity of top terminal concrete became a concern after the Spruce Peak incident (it was originally part of a 1966 Hall double chair.) I had no idea when I took photos for this site a few weeks ago that I was witnessing the chairs come off for the last time. Will the bottom terminal sell? 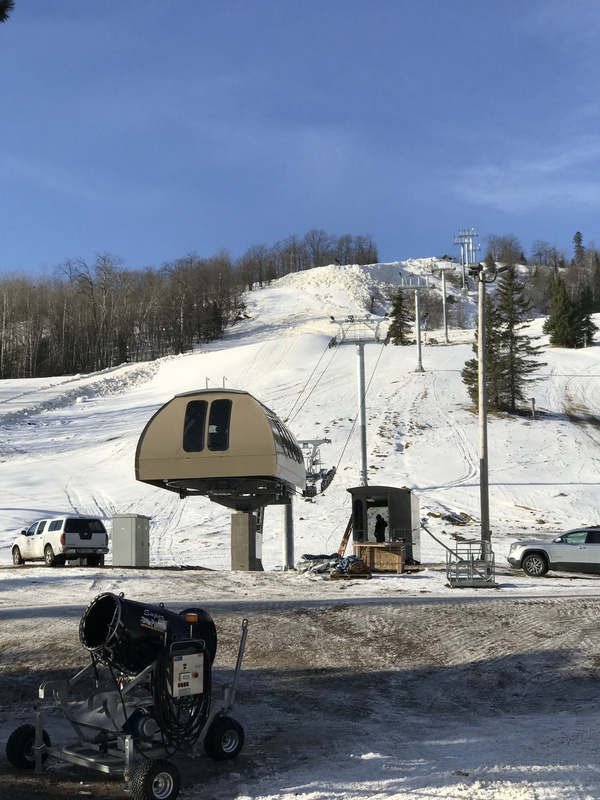 NewEnglandSkiHistory notes that Burke’s east bowl expansion was only partially completed (with the opening of the east bowl trail) and was initially planed to have a chairlift that would provide access to several new trails. 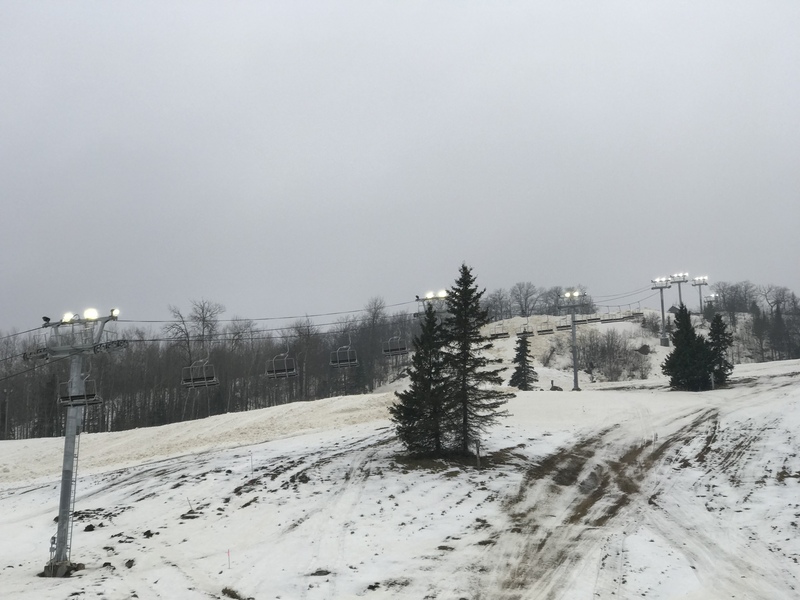 Although these trails are be accessible from the newer Mid-Burke express, a dedicated lift was planned (http://www.newenglandskihistory.com/skiareaexpansions/Vermont/burkemtn/eastbowl.php). I could see the Willoughby Quad being relocated to this area. In order for such a relocation to take place, the lift would have to be refurbished and new components would have to be added (not sure if they would want to use 1960s double towers on a relocated quad). An almost entirely new top terminal would also have be to fabricated. Considering that this is a CTEC lift, this is really SkyTrac’s department. The existing Enterprise drive terminal, chairs, grips, sheaves, and crossarms could be reused. SkyTrac could fabricate new towers and a new top terminal (given the state of the bullwheel, it could probably be reused). The similarity in CTEC and SkyTrac equipment could make this fairly easy from an engineering / design standpoint. I also personally think that Burke was smart with the choice to decomission this lift. Given the recent Spruce Peak incident and that fact that there were minor defects found in this lift’s top terminal concrete and the fact that there is a near new detachable quad servicing the same terrain, there was no real reason to keep this lift running (unless Burke is really that crowded on weekends). Why risk a catastrophic structural failure on a redundant lift? 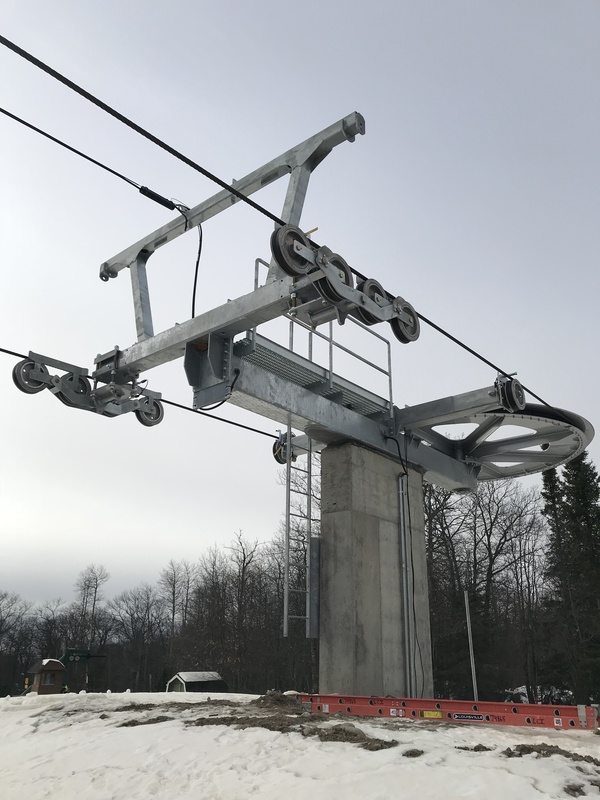 Smart thinking by Burke, and it would not surprise me to see this lift refurbished and installed somewhere else on the mountain (likely the East Bowl Lift) in the near future, and if not, the lift will likely go to another mountain. Other CTEC lifts of the same vintage (from Ascutney, VT) have also been recently refurbished and reinstalled at other mountains, and given the fact that this a CTEC Enterprise Quad (for which Doppelmayr or SkyTrac can supply parts), if Burke doesn’t reuse this lift, some other New England mountain will. 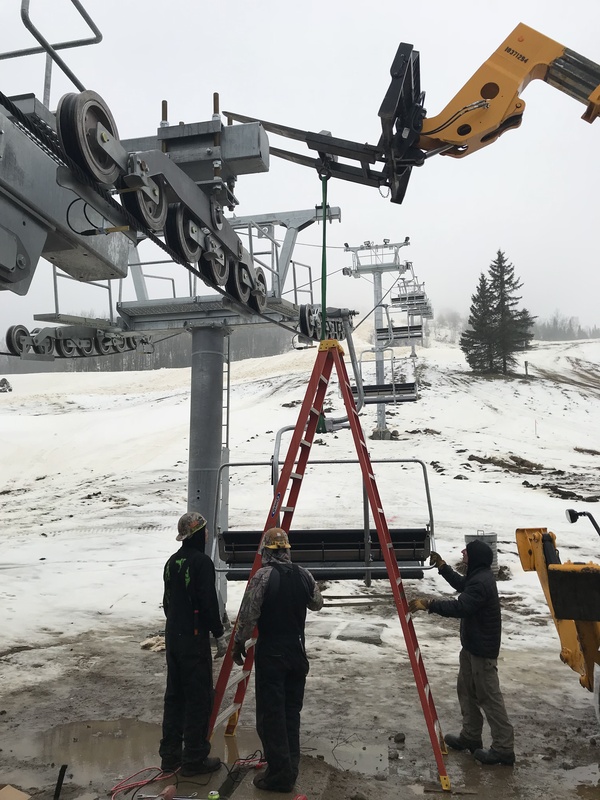 The Ascutney triple that went up at Pats Peak has new Skytrac crossarms and sheaves. I think they also replaced the counterweight tensioning with hydraulic tensioning. Saw a picture of it and it looks almost brand new. Hopefully Willoughby has a chance at another life like that. what is the used lift heading to MRG????? Sounds like they don’t have a specific lift yet. It could be the old Peak Double from Pat’s Peak. I could imagine MRG reinstalling it, but they sure could use it for parts to keep Practice Slope and Birdland running.